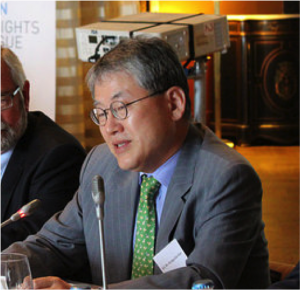 The Glion Human Rights Dialogue is a retreat-style event bringing together around seventy senior policy-makers and other stakeholders in an informal, non-attributable setting designed to promote open, forward-looking and solutions-focused debate. In 2016, the Dialogue took place from Tuesday 3rd May to lunchtime on Wednesday 4th May 2016, in Vevey, Switzerland. The importance of understanding and measuring domestic processes of implementation and operationalization would seem obvious. Yet 50 years after the adoption of the International Human Rights Covenants, and 10 years since the establishment of the Human Rights Council which, according to Kofi Annan, was meant to lead the international community from “the era of declaration to the era of implementation;” there have been few efforts by the UN human rights community to consider and debate, at a system-wide level, the issues of compliance, implementation, follow-up and capacity-building support, and leverage such discussions to guide reforms and improvements. 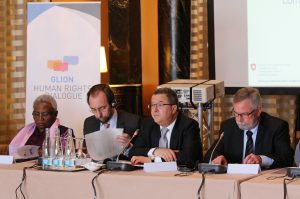 The third Glion Human Rights Dialogue (Glion III), organised by Norway and Switzerland with the support of the Universal Rights Group, sought to address this gap. Glion III took a bottom-up approach to the interconnected issues of compliance and implementation, an approach that looked at how States implement UN human rights recommendations, how the international community seeks to support them in that regard, and how implementation can be strengthened in the future. The Glion Human Rights Dialogue provided a platform for representatives of key parts of the international human rights system such as States, OHCHR, Special Procedure mandate-holders and members of Treaty Bodies, and NGOs, to brainstorm in an informal setting about the key challenges facing the system and how best to overcome them. The main focus of Glion III was to take a ‘bottom-up’ look at implementation. The meeting aimed to identify and replicate emerging good practice, at domestic level, in turning international human rights recommendations into local realities. It also sought to identify barriers to progress and how the international community can help States overcome those barriers. Finally, Glion III addressed the issue of ‘prevention:’ what is it, and how the Council can turn the principle into practice? 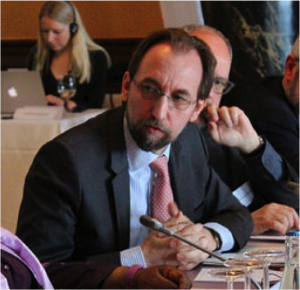 The outcome of Glion III will represent a contribution to wider consideration of these issues. ‘Upstream:’ How the international community strengthen and support implementation/compliance, policy dialogue with the Permanent Mission of Thailand, 17th February 2016.